Pack in the adventure, not excess. 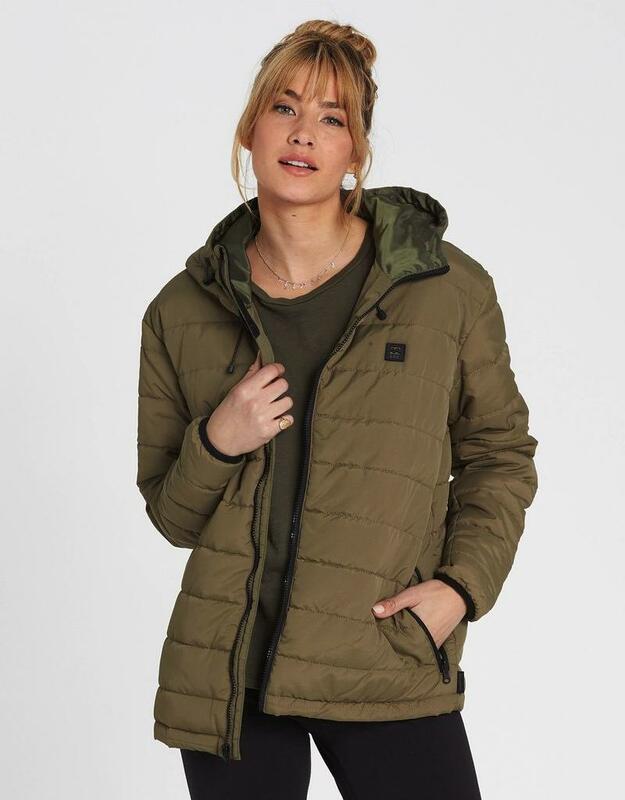 Durable and lightweight, the Adventure Division Transport Puffer Jacket packs down for travel, offering an essential layer of heat and weather-resistance. 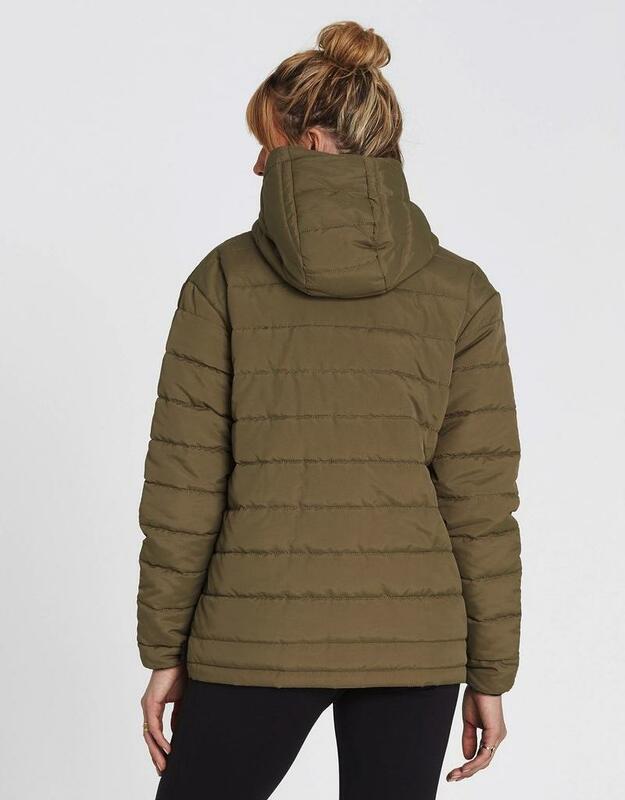 Made with 600mm coated nylon, the women’s jacket features a zip-front closure and zippered pockets to keep you goods secure on the move. Part of the Adventure Division Collection, the all-weather sweatshirt maintains a focus on functional, outdoor design with a clean modern aesthetic. 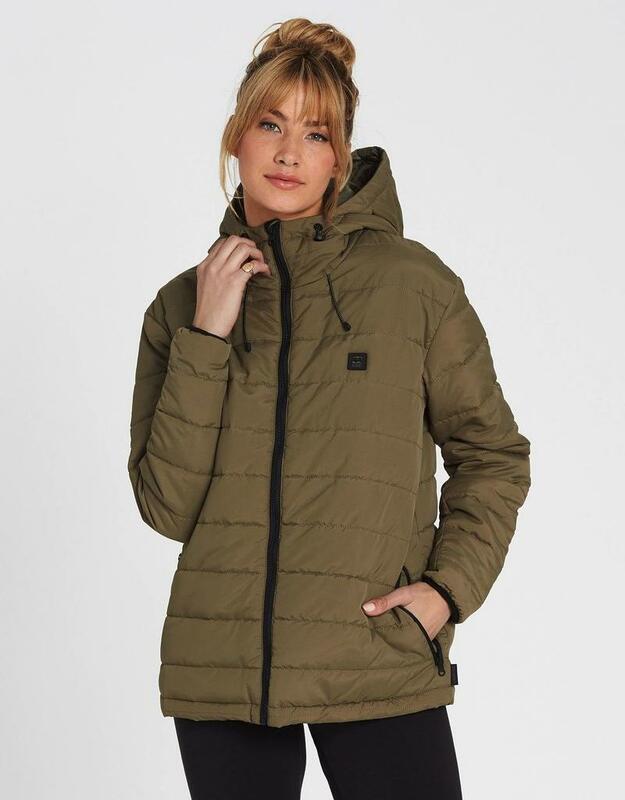 Womens technical puffer jacket. Lightweight and packable poly-fill. Quilted. 600mm coating for water resistance. 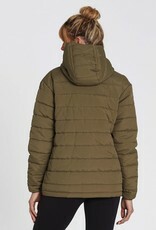 Toggles and drawcords at hood. High neck. Elastic at cuffs. Zippered hand pockets. Adventure Division trims and labeling. 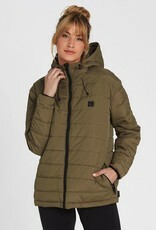 Material: nylon with weather coating. Adventure Division: Driven by adventure and trusted by athletes in all conditions, A/DIV brings innovation and modern design to purpose built outdoor product. 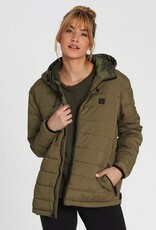 Alana is wearing Military in size M. Height: 5'9". Chest: 32”. Waist: 25”. Hips: 35”.